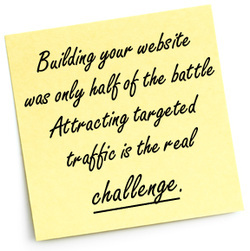 Internet marketing has grown quickly and it will continue to grow fast in 2011. As you may already know, there is a huge contribution of search engines mainly with Google in internet marketing. Websites which tops in Google ranking will undoubtedly get huge volume of visitors to their websites than the other search engines like Yahoo or Bing. The only true way to top the search engines is with SEO (Search Engine Optimization). There is no secret weapon against these sophisticated machines. It is likely to be a question in SEO expert's mind that it is reliable to continue with current Search Engine Optimization strategies in order to rule the search rankings or there will be some dramatic changes in Google's algorithm for improved search engine results. In fact, Google has already began to show some variation in ranking with some hard to solve formulas for SEO consultants. Geo location of any search query: Google search engine algorithms may pay more attention geo location of any search query. That means search results in Google.com may vary in USA and UK for same keyword. The percentage of variation in results may vary upon competition of querying keyword. Means higher the competition, higher the variation. Great role of Social Media and Social Networking: Social media and social networking sites like FaceBook, Twitter will also have some noticeable impact on search engine results in 2011. It does already have some talk to include twits from the twitter in search engine results. So it's time to include social media optimization as one of the search engine optimization strategies for SEO companies. Back-links from Low PR and Irrelevant websites: Yes. This point is directly pointing to directory submissions, link farms and reciprocal link exchanges. Google is very smart and getting more and more smart and hard with spammers. Continuous back-links from low PR and irrelevant websites may really hurt your rankings. It's also useless to use two-way (reciprocal) or three-way link exchanges in an order to improve rankings. Google is having the number of heads with PhDs and for them it is not hard to find two-way or three-way links. Google will no more equal to Search Engine: Yes. After dominating nearly a decade, Google is now facing very tough competition in search engine market with rivals like Yahoo and Bing. Even though Yahoo is not as much effective as Bing because Bing is really giving some very good and relevant results in compare to Yahoo. In 2011, Google will definitely have to face some great challenges from Bing. In addition, if Yahoo/Bing partnership will come into reality than it would be biggest search engine revolution in the decade. Some other small but important factors: Page load time, bounce rate, domain age would remain some other factor which may gain some importance in search engine results of Google. Google has already announced that page load time would be a factor in search engine result pages, to give user improved and fast loading websites in search results. Search engine market is developing quickly. So you can expect some exciting and new trends to emerge for search engine optimization SEO industry in 2011. It's been time to change your online marketing strategies as New Year begins with some more stirring market trends and techniques. It is advisable to leave those SEO services company which are using old-age SEO strategies in order to give higher search engine rankings. Get some advice from expert SEO consultancy in an order to step forward in highly competitive market. Finally, it's time to get smarter with new trends and technology in 2011. Let Image Results help you with your website design and SEO, we specialize in Website Designs and SEO that gets you the results on the search engines. Call us at 770-964-6063 or use the Contact Us form.